Its no secret that I’m a huge fan of Brooklyn-based musician Adrian Galvin (aka Yoke Lore), as even in the last few months when I’ve barely find time to post regularly, I’ve at least been able to feature each new track I’ve heard from this artist. Today, I’m happy to add a playlist that Adrian put together for Indie Music Filter, of his favourite tunes by Canadian artists. Check out the Spotify playlist below. 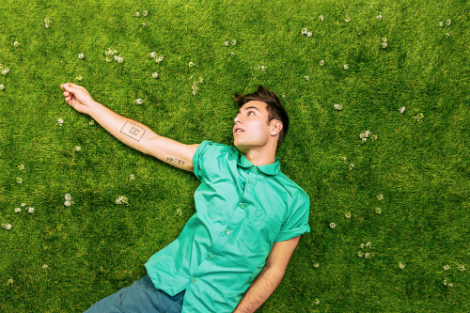 Yoke Lore is preparing the summer release of the Absolutes EP, and hitting the road with FRENSHIP in support. Absolutes explores the grey areas between black and white ideas while building upon the lush, sonic palette of his past works. The new music finds multi-instrumentalist, dancer, and visual artist Adrian Galvin polishing his heartfelt anthems and ruminating on finding balance amid respective oppositions by breaking through the notion that truth necessitates purity. Yoke Lore tours to Toronto this Saturday, with a show at the Drake Hotel. More details here.